CreepyPastaCraft Mod is a brilliant mod that has unfortunately been discontinued. This mod adds several random and scary story lines to your Minecraft game. If you have never heard of CreepyPastas before then you would probably like to know that they are basically little stories that are told in order to scare those that read them. This mod therefore adds many new creepy situations to the game and brings them to life with mobs, items and more. To use the CreepyPastaCraft Mod, you first of all need to install the mod with the help of Minecraft Forge. Then you can simply load up your latest Minecraft game and enjoy its features automatically. First of all, you need to craft a computer and then right click it. This will give you a random CreepyPasta. 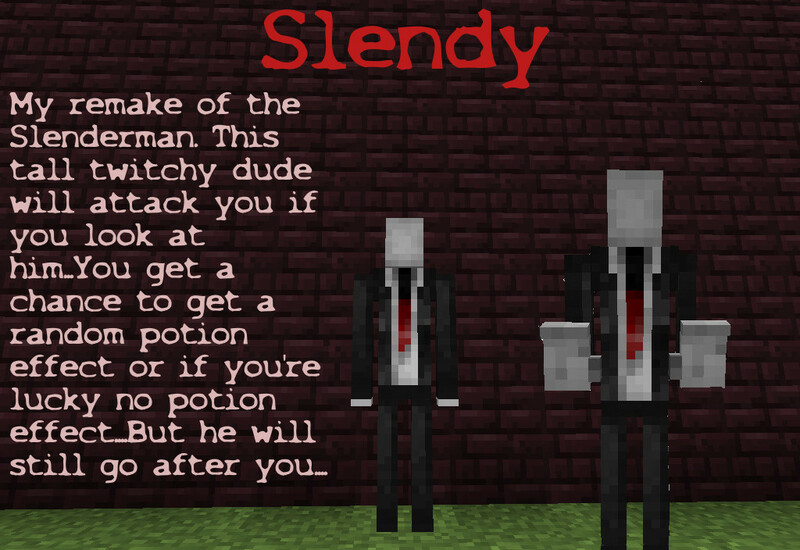 There is a SlenderMan remake in this mod, as well as the MothMan and more. 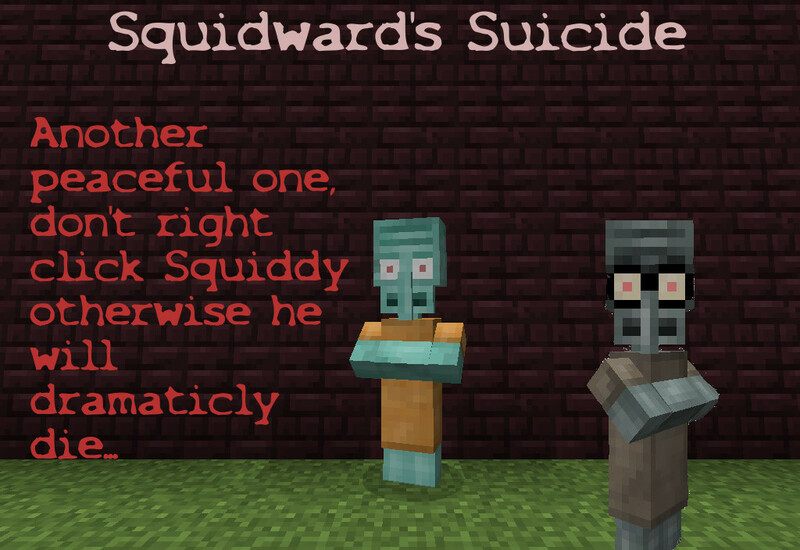 Squidwards Suicide is a CP that is fairly strange. Right click him and he will commit suicide. 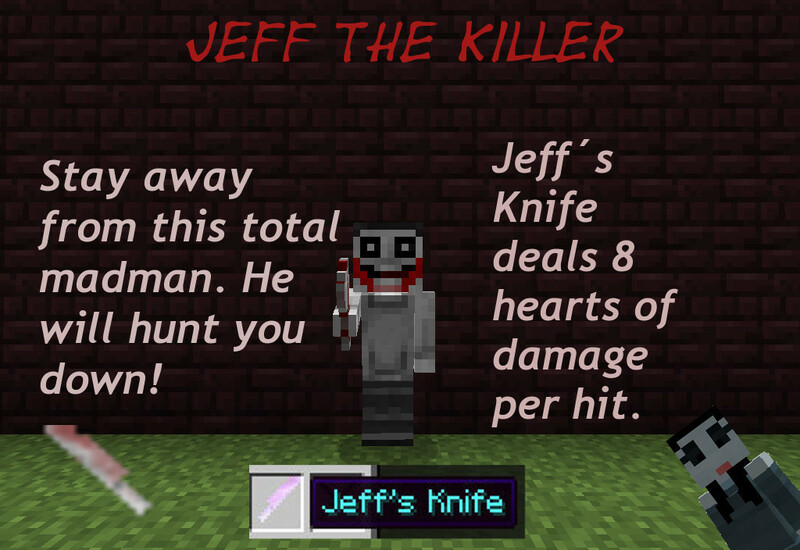 Jeff the Killer will automatically spawn and then hunt you down and try and kill you. Jane the Killer is one of the few friendly CP, she will defend you against Jeff! Next, download the CreepyPastaCraft Mod and drag and drop it into the .minecraft/mods folder of your Minecraft directory. There are currently no public changelogs for the CreepyPastaCraft Mod. Unfortunately this mod has been discontinued but can still be downloaded from the link below.